Diageo, has announced that it has submitted planning applications for the redevelopment of its visitor experiences at Cardhu and Clynelish distilleries, as part of a major Johnnie Walker Scotch whisky investment programme. The plans are part of a £150m investment in Scotch whisky tourism by the drinks company, focused on their Johnnie Walker blended whisky brand. 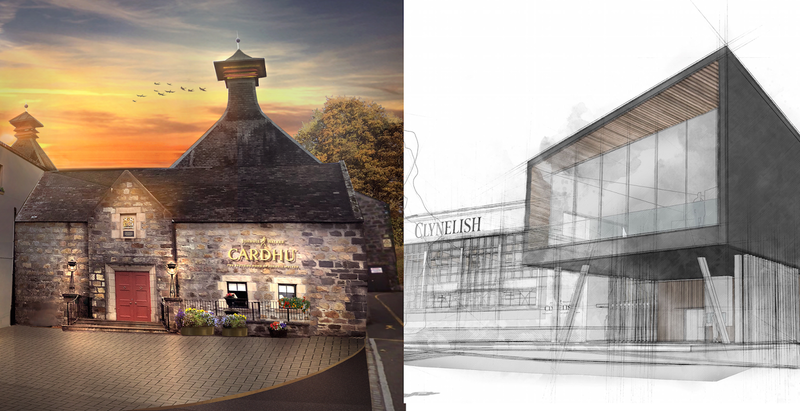 Subject to successful planning permission, work should commence at both distilleries later this year, with completion targeted for late 2020.